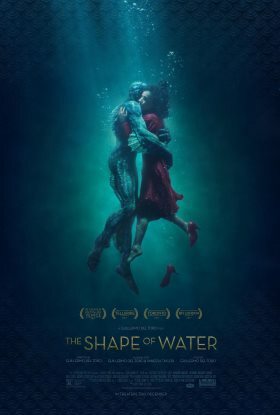 Though The Shape of Water is not traditionally furry (by either the "covered in fur" or the fandom definition), rarely does a movie about the romantic relationship between a human and a humanoid fish monster score 13 Oscar nominations. 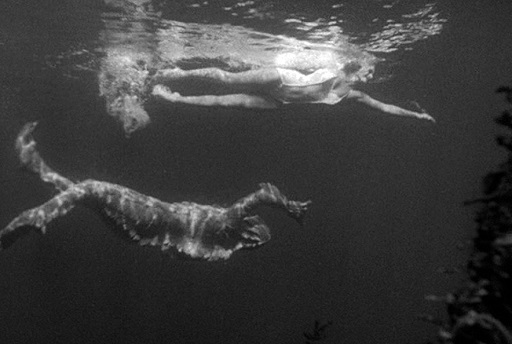 Writer and director Guillermo del Toro's science fiction fable, inspired by a famous scene in the classic Universal horror picture Creature from the Black Lagoon, is the odds-on favorite to win the Best Picture prize, which will make it the closest thing to a furry movie to claim that prize if it does. In addition to its Best Picture nomination, it also gained nominations for del Toro in Best Directing and Best Writing (Original Screenplay) (along with screenwriting partner Vanessa Taylor). Del Toro had been previously nominated in the Best Original Screenplay category for Pan's Labyrinth (which was also nominated for Best Foreign Language Film, which is often credited as a second nomination for del Toro, though technically the nominee there was the country of Mexico due to the odd rules of the category). If del Toro wins for Directing, he will be third of a trio of Mexican directors nicknamed "The Three Amigos" to win the award this decade, after Alfonso Cuarón (winner for 2013 with Gravity) and Alejandro G. Iñárritu (winner for 2014 for Birdman or (The Unexpected Virtue of Ignorance) and 2015 for The Revenant). Update: March 4, 2018: The Shape of Water has won Best Picture (Guillermo double-checked the envelope), making it the first science fiction movie to win the prize, with additional wins in the categories of Directing, Production Design and Original Score, giving it four total Oscars from its 13 nominations. Since 2011, the Best Animated Feature category at the Oscars has featured five nominees. This year, that streak could be in jeopardy, as 16 movies have been submitted for consideration by the Academy. 16 is the absolute minimum number of movies that can qualify for the award in a year and still have a full slate of five nominees; if any of the submissions are disqualified, 2015 will only feature four nominees for the first time ever. 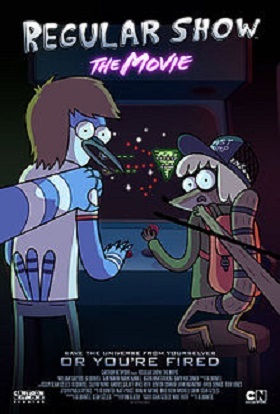 However, none of movies are live action/animation hybrids (the type of submission most likely to be disqualified, such as The Smurfs 2 back in 2013), or use controversial, but historically qualified, techniques such as motion capture. The only way one of the submissions might drop out is if they fail to make a qualifying run of a week long screening at a theater in Los Angeles County, California. All feature length movies in all categories are required to have a this qualifying run to be considered for the Oscars. Hey, it’s the two year anniversary edition of Furry Movie Award Watch! However, I don’t feel much like celebrating; this wasn’t exactly a banner year for the column. Let’s see; I was late November, February, April and May. [This time, it was the editor's fault.] Oh, and there was the part where I only got one out of three awards I was supposed to guess right. And the movie that beat me was terrible; not even a fun terrible, like Avatar or Prometheus, but a boring terrible. I can’t even find myself really mad at the choice; I mean, it was a nice, safe pick, after all. Nothing interesting at all going on here. So, anyway, no funny pictures of animals with party hats this year. I love you, Annies. Never change. Well, now Generic Rebellious Princess Syndrome: The Movie has beaten me twice. Hey, at least it wasn’t the worst possible nominee this time. Way to represent, Rise of the Guardians! I guess Brave does have its positive qualities; it had really nice hair and … uh … yeah … well, it had really nice hair! Anyway, read on for my tentative stabs at this year’s Ursa Major nominees, and another trip into an alternate dimension which always had an Oscar for Best Animated Feature. Folks, it’s a slow month, so I put together a list of animated movies to be nominated for an Academy Award by cross referencing Jerry Beck’s animated feature list and the Oscar’s site. First off, not all of these movies feature anthropomorphism or animals, much less anthropomorphic animals, but a vast majority do. Secondly, my definition of what constitutes an animated feature is stricter than Beck’s, so some movies that appear on his list and did gain nominations do not appear on mine. Thirdly, this is going to be a dry and boring read, but I promise it is full of facts. [And links!] I’ll be witty and insightful next month. Update 3/9/2015: Now updated through 2014. Well, I must say, I am enraged at the Oscars. Host Seth MacFarlane promised at one point that the cast of Prometheus, my pick for worst movie of last year, would be up to explain “what the hell was going on there”. I watched the entire telecast, and was disappointed to find out that MacFarlane may have in fact have been joking. I was hoping they would just break down after attempting to explain it and start apologizing. No such luck. I guess some other stuff happened too. Should probably write about that. You know how you don’t judge a book by its cover? Well, in the same vein, you don’t judge a movie by its trailer. So, anyway, Rise of the Guardians went from winner to not even showing up on my Oscar guess list, while Wreck-it-Ralph pulled the opposite trick. On one hand, this is a disappointing year; on the other, it’s a fun year to predict, because nothing is certain. Note: Obviously, this is a bit late and out of date, but I was unable to post this last month due to computer issues, and the opinion part of it is still mostly valid, so I’m submitting it late. If you’re reading this, the editors decided to let it in; if you’re not, well, uh, you’re not. It has begun. Oscar season is here; yes, it really starts this early. So, let's set the Ursa Majors on the backburner and take a look at 2012’s Best Animated Feature Oscar hopefuls. On one hand, it’s going to be a full slate all but guaranteed. On the other hand, it’s such a weak year I am saying it’s a weak year. And, on the gripping hand, don’t expect three movies titled after talking animals in the final ballot this year. Maybe one, though. Go crossie! It’s your birthday! We’re gonna party like it’s your birthday! Okay, that’s enough of that, then. On to the column. This month, nothing new is going on in the circuit, so I have devised a thought experiment to try and guess what movies might have been nominated and won Best Animated Feature if it had always existed as an Oscar category. Alright, my first time at bat as an Ursa Major movie pundit worked out, as Kung Fu Panda 2's win put me at three for three predicting the movie awards I set out to predict. Read on for my reaction to the awards and my first guess at next year’s nominees and winner.